Keeping organized while on the road can be tricky and can cause a lot of stress regardless of whether or not you're constantly jet-setting or taking a trip once a year. Last year, I jumped on a plane 17 times for both work and pleasure. 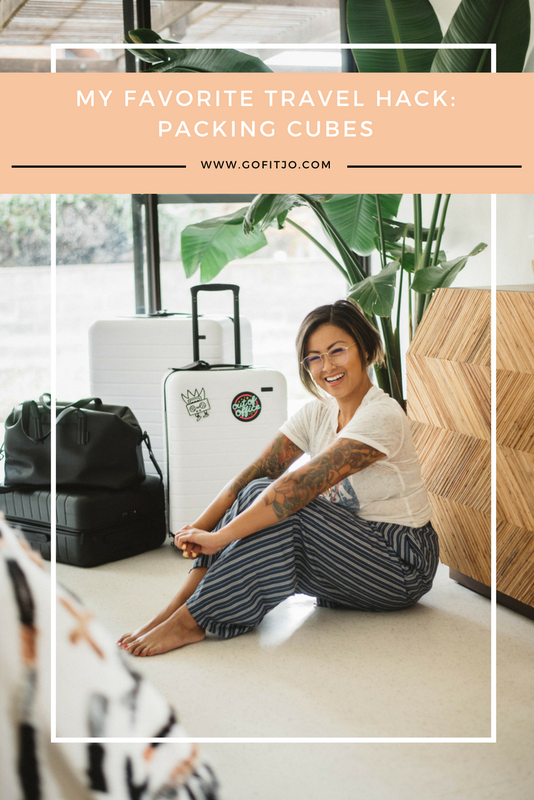 One of the greatest travel hacks I picked up during my travel were packing cubes! Packing cubes are pretty standard in the world of travel, but not many travelers have managed to pick up this little life hack. I get it! 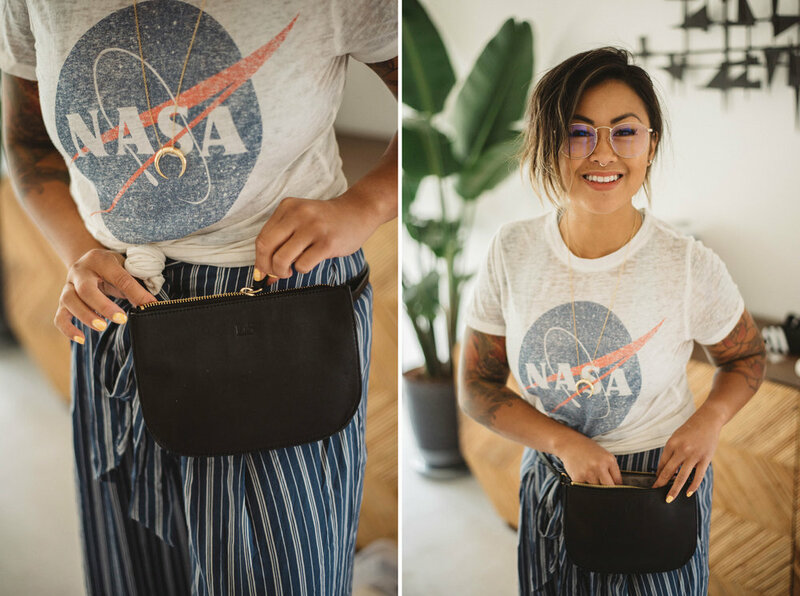 It's not the prettiest when you try to recreate the many blogger photos of open pieces of luggage filled to the brim with the most Instagram worthy travel accessories. But packing cubes have been a stress saver for me and personally, I'd rather be mindful of my mental health by staying organized. I like to separate my workout clothing, my regular outfits, bathing suits, and underwear/PJs. This keeps my luggage neater and more organized especially if I need to zip it open during a layover. This also helps me from not overpacking when I can keep track of where things go in my luggage. You can use packing cubes to compress your clothing for any trip. This is especially helpful if you're using a carry-on size. Although I only use mine for clothing, you can also use them to separate camera gear, electronics, shoes, or anything else you want to store. I know some people separate their clothing items with plastic bags or Ziploc bags. Nothing wrong with that, but we've slowly become a greener family and haven't bought plastic Ziploc bags for over a year and a half. A majority of my travel these days has been for work and are typically short trips. What I love about my packing cubes is the ability to literally throw my packing cubes into the drawers of my hotel or AirBnb and I'm off to whatever adventure is on my itinerary. If there are no dressers available, all my clothes are neatly organized in my packing cubes and I can pull out what I need based on which cube is holding which clothing category. So now that I've shared why I love them and why I think it's a must need for everyone let's get into getting all packed up! One other organization hack I recently learned was to store all my travel essentials in clear containers in my closet. This just helps with time management and efficiency because let's be real, NO ONE HAS TIME to dig out toiletries and beauty products from all their cabinets. I also store my packing cubes in another clear container. We have several packing cubes as everyone in the family uses them in their luggages as well. LIFE HACK: Store all travel essentials in a labeled clear container so its easy to find and access. I lay out all my clothes so that I know what I'm packing and can do a quick overview what I need to pack and what I don't need to pack. I tend to overpack on the bikinis/bathing suits anytime I'm heading to a beach destination, hope I'm not the only one. As I mentioned above I like to separate my clothing. Activewear goes in one cube, regular clothes go into another. Skivvies, PJs, and socks will go into a smaller cube, and then my bathing suits will have a cube of their own. The beauty of packing cubes is the ability to literally press everything into a sweet little container. So fold your clothing neatly and pack it down. Zip it up and call it a day, the toss it into your luggage! 4 out of the 6 packing cubes used from Away. The best thing about packing cubes is how neatly they fit into any luggage. You might find yourself playing a little game of Tetris if you prefer to have all of your clothes on on side of your luggage like I do. Packing cubes are a life saver. The other thing that I love about them is that when its ready to pack up and go home, I separate the dirty items into one or more packing cubes and leave the clean items in another. This just helps when it comes to unpacking and doing laundry when I get back home. Last year I had some trips I had to take back to back so I left a packing cube filled with clean items in my luggage, washed the dirty clothes in one, and repacked it with a whole new set of clothes for my next trip! During trips when I have 2 or 3 days at home in between, this was such a game changer. 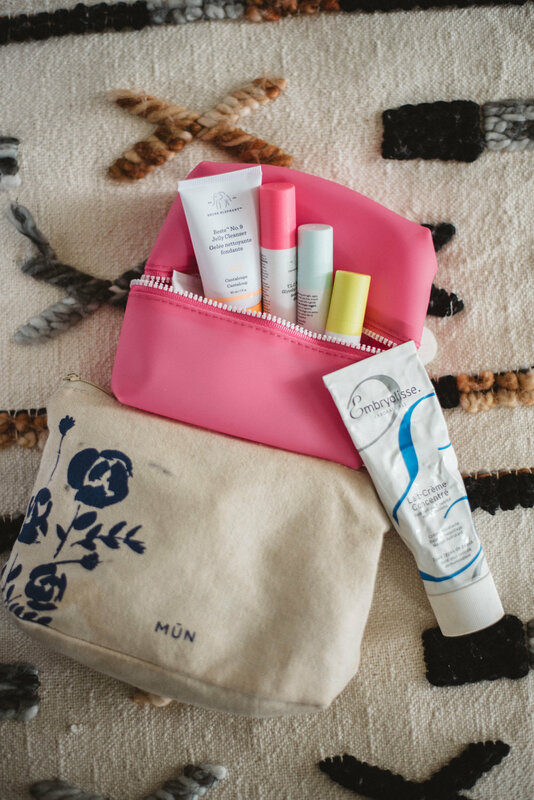 Stash all your travel cosmetics/toiletries for travel in other zippered bags. I like to compartmentalize everything when it comes to travel. My hair products will go in one little cosmetic bag and skincare will go into another. This is extremely helpful when it comes to unpacking at your destination or finding things in your luggage. These are a must bring on every trip regardless of the duration. You can read all about the benefits of Gua Sha and Jade Rolling in a previous blog post. Fanny packs are back! I love them and this one, in particular, is great for traveling! You can use it as a clutch and remove all the straps. What I love is that I stash my lipgloss, ID, phone, and credit cards in it and it's easy to access at the airport. Hope you enjoyed this travel hack. Share me your favorites in the comments below. I’m a mother of two beautiful daughters and married to a man who completes me. I started my fitness journey as a way to heal my soul and launched my blog in hopes to continue to inspire and empower women to use fitness as a tool to heal depression and find their self worth. I strongly believe that each woman deserves to be in love with herself just as much as her man does. I have an obsession with reusable water bottles, I enjoy action movies, and I’m in love with burpees.